The festive season is the perfect opportunity for spending time with family and enjoying good food together. Finding new takes on delicious Christmas dishes can be quite a challenge, but with Canderel as a sugar alternative, your menu transforms from naughty to nice. 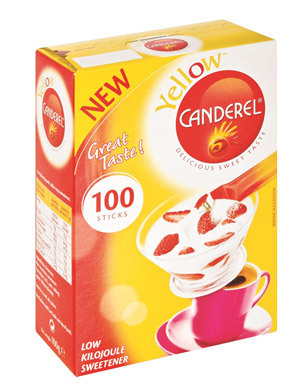 Canderel is a low kilojoule sweetener which is the equivalent of two teaspoons of sugar – with ten times less kilojoules. 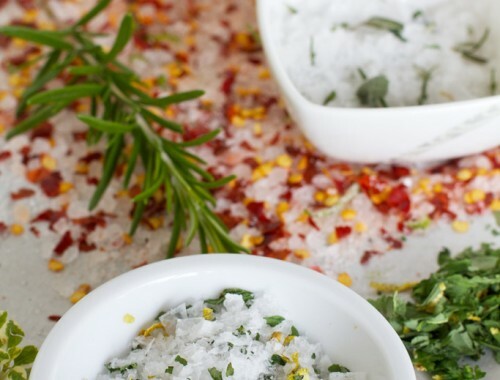 Try out these delicious recipes from the Canderel Kitchen for your Christmas spread. For the pavlova, pre heat the oven to 120°C. Line a baking tray with baking paper. In a clean, dry bowl, beat the egg whites until stiff. Add four sachets Canderel Yellow and beat for a few seconds to combine. Gradually fold in the remaining three Canderel Yellow sachets, vanilla extract, vinegar and cornflour. Beat again until stiff peaks form. Using a piping bag, or just spooning the mixture onto the baking paper, shape six pavlova ‘nests’. Place the baking tray on the lower rack in the oven. Gently rest a sheet of foil with the shiny side facing the pavlovas over the nests. Turn the oven down to 100°C and bake for 1 ½ hours. Turn oven off and wedge it open with a kitchen towel. Leave pavlovas in oven to dry out completely for another 30 minutes. Remove from oven and cool on a wire rack. Store in an airtight container until ready to use. For the compote, bring the berries to the boil, reduce heat and cook for about 10 minutes until the berries start to dissolve but still retain their shape. Remove from the heat, add Canderel Red and lemon zest and allow to cool. Combine cream and Canderel (sweeten it according to your taste). Whip until stiff peaks form and refrigerate until needed. For the chocolate drizzle, melt the slab of Canderel Dark Chocolate over a bain-marie. Once melted, remove from heat and use immediately. On a pretty serving tray or individual plates, arrange the pavlova nests. Spoon a dollop of whipped cream into each nest and top with a spoon full of berry compote. 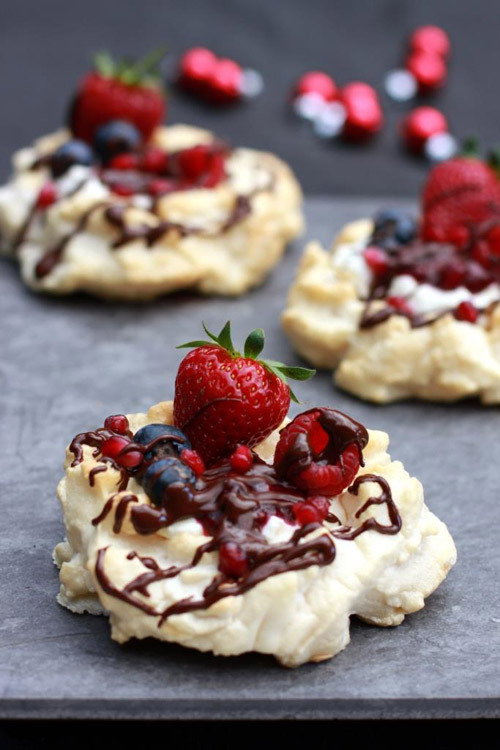 Arrange fresh berries on top and drizzle with melted chocolate. Serve immediately. 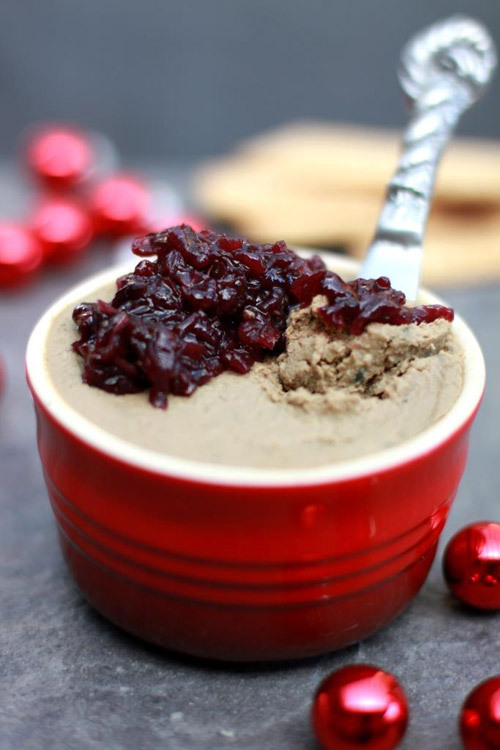 For liver paté, melt some butter in a pan and fry onion over a low heat till soft and translucent. Increase the heat and add the livers and garlic. Sauté for about 5 minutes before adding herbs and bay leaf. Put the lid on and allow to simmer for about 15 minutes, stirring occasionally. When livers are cooked, remove the bay leaf, add brandy and melted butter, and liquidise. 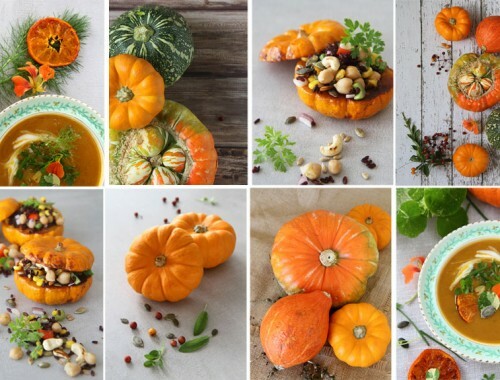 Spoon into a serving dish and allow to cool before refrigerating overnight. For red onion jam, heat the oil in a heavy-based pan and gently fry onions for about 10 minutes over a low heat until they become soft and translucent. Add Canderel and Balsamic vinegar, and cook for 10 – 15 minutes until the onions become caramalised and sticky. Season to taste with salt and black pepper. Cool to room temperature before serving with bread or vegetable crudités. Bring the berries to boil and cook over a gentle heat for 15 – 20 minutes until most of the liquid has evaporated. Add the cornflour and Canderel and stir until thickened. Allow to cool before stuffing into the cheese. Use a small circular shape (like a shot glass) and gently press into the centre of the cheese, stopping just before you go straight through. Scoop out the middle contents to create a cylindrical form. Fill the hole with the berry compote and allow it to overflow slightly. 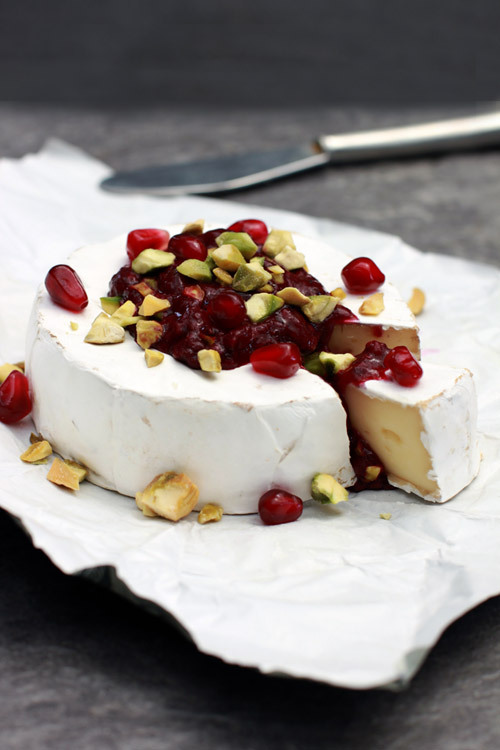 Garnish with Pomegranate rubies and pistachio nuts. 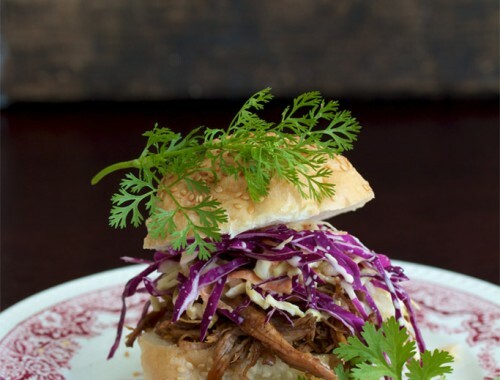 Serve with bread or vegetable crudités.